1998…I’ll never forget it. 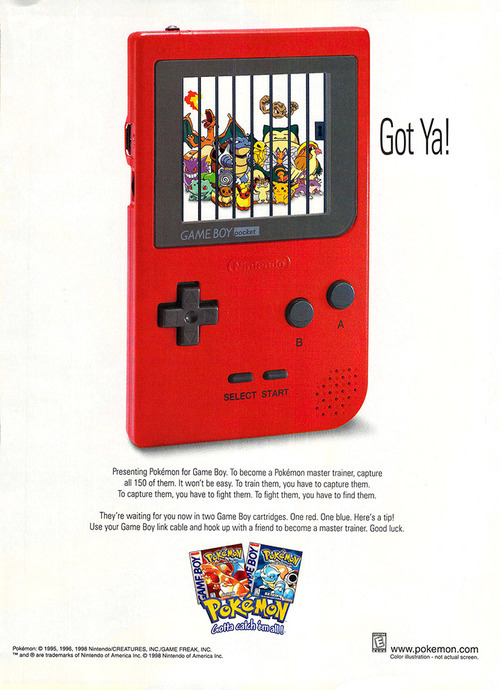 After a two-year head start in Japan, Pokémon Red and Blue Versions for the humble Game Boy landed in North America on September 28th, 1998. Pokémon at this point needs little introduction, but back in 1998, it felt brand-new to Americans. The thinking was, “Godzilla meets Tamagotchi” and you were in the ball park. 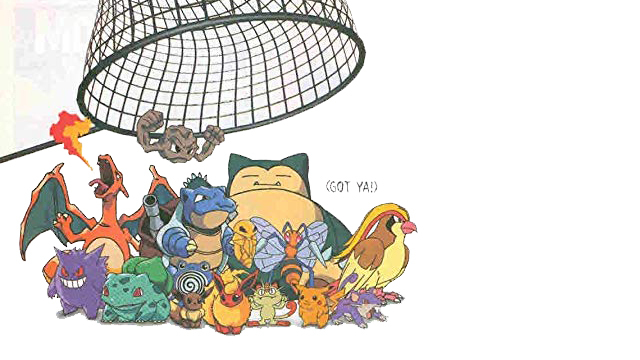 Pokémon featured 151 battle-ready monsters you could also nurture and raise. Not only was Pokémon an instant sensation among kids at the time, it continues to endure with fans of all ages, including those who grew up alongside it. 20 years apart from its debut, your humble writer carries forward with the Pokémon lifestyle. Not only is it a fun franchise of video games, animation, and much more, there’s a lot of hidden depth, too. The birthday morning I got my copy of Pokémon Blue changed my life forever, in more ways than one. How does a video game introduced to a generation of kids, as it were, impart a variety of life lessons that shape the people we become? 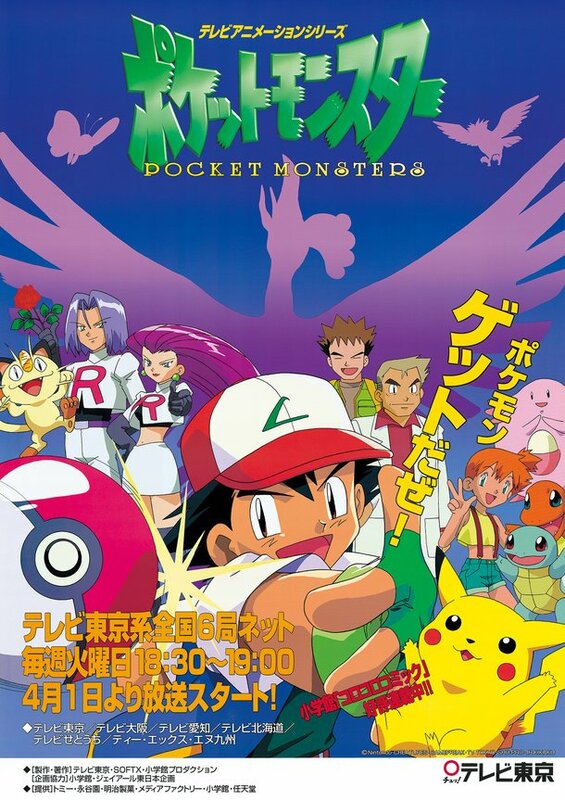 People may forget, but it wasn’t the video games that first launched in the US: it was the still-running Pokémon anime, which premiered in syndication on September 7th, 1998. Through a combination of serialized storytelling, engaging characters, and exciting action, the Pokémon anime took off like a (Team) rocket. It moved to network television the following February, then to cable in 2006, and has supported over 1000 episodes and 21 feature films to date, almost all of which have been released outside of Japan. While not the all-encompassing TV phenomenon it once was, the success of the Pokémon anime itself led to the anime boom market of the late-90s/early-2000s. Before Pokémon, there were niche hits like Dragon Ball Z and Sailor Moon, but Pokémon had that certain something that made it mainstream popular. With that success, a bevy of anime, both originals and imitators, were brought Westward and introduced more people than ever to the look and feel of Japanese animation. Anime is now a massive industry unto itself here, with both video releases, streaming, and merchandise. Anime conventions grew from an obscurity to something everyone knows about and wants to go to. More than likely, if you ask someone of a certain age what got them into anime, they’ll tell you it was Pokémon. From its earlier North American marketing, a novice kid would be forgiven for not knowing that Pokémon is not an action game but a role-playing game instead. That big “if” also depends on if you weren’t acquainted with any video game media or genre knowledge prior. Before the Western dawning of the age of “Poke-quarius”, RPGs were not as mainstream, save the major blow-out success of Final Fantasy VII the year before. Role-playing was seen as the domain of the nerd (the super nerd). Perhaps it was Pokémon‘s cute and appealing monster stars that made people more willing to learn and understand the RPG systems it boasted. In Pokémon, you don’t capture with bug nets or bus crushers like you were playing an action game or a platformer; you navigate menus, maintain items, get healed up, and walk around a vast overworld and survive the darkest of dungeons. The popularity of Pokémon in the West helped propel an unpopular genre to a broader audience that would have never experienced one otherwise. As a bonus, Pokémon‘s elemental typing system made us all better at rock-paper-scissors. A lot of adults of the late-90s seeing Poké-mania unfold would have told you Pokémon is “dumb” and makes the children’s brain rot? Well, in the first of several of these bullet points, who’s laughing now? The Pokémon themselves draw on more than just animals for inspiration, and the setting isn’t just random and made up. 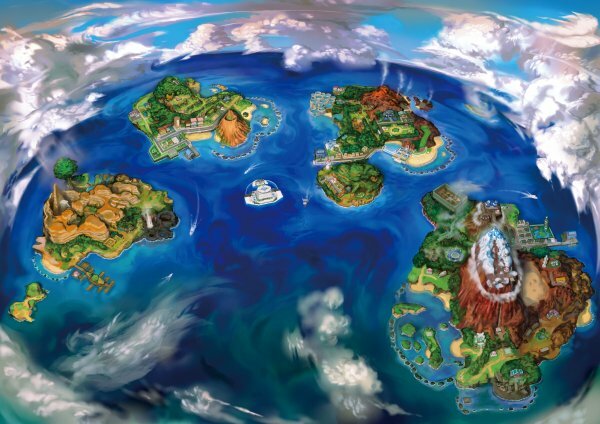 Pokémon over the generations has taught us a thing or two about world mythologies and geography. 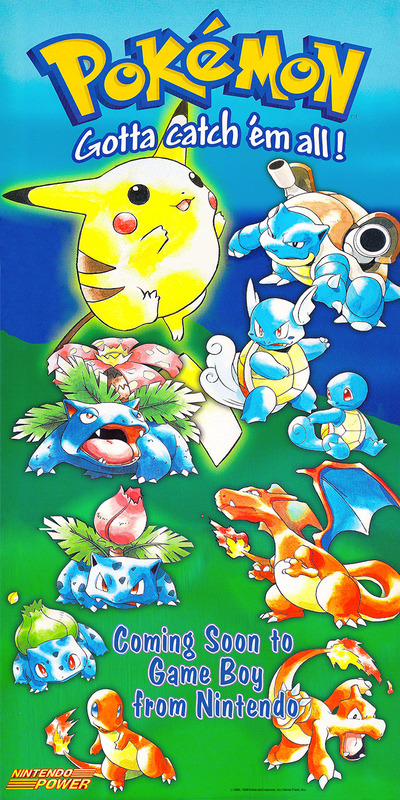 With regards to Pokémon Red and Blue, the game’s setting was unnamed, but got its moniker of Kanto in Gold and Silver. That name’s not for nothing: Pokémon‘s Kanto is directly inspired by the real-world Kanto in Japan. Sinnoh in Diamond and Pearl draws from the Japanese island region of Hokkaido, and Ruby/Sapphire‘s Hoenn bases itself on the southern Kyushuu. Later games went outside of Japan and took inspiration from New York state, France, and Hawaii, bringing more cultural influence to the franchise. And within the regions, the locations of cities and landmarks align with their real-world equivalents, as Unova’s Castelia City matches with the lower business-driven district of Manhattan among other examples. Sunnyshore City’s Vista Lighthouse is based on the symbol of EXPO ’70. Even specific landmarks in the series can be rooted in real-world equivalents. Your average 10 year old may not have known this, but the Burned and Bell Towers in Johto are directly based on Japan’s real-world Ginkaku-ji and Sai-ji towers in Kyoto, whose history are the basis for the in-game towers. 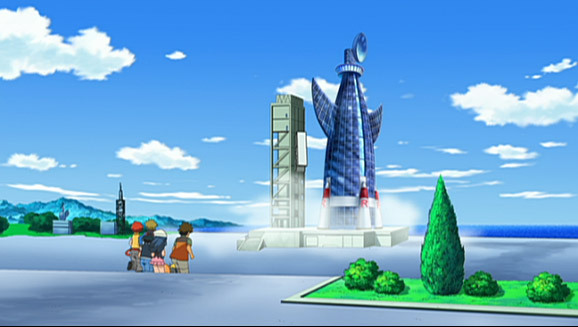 Would you have ever guessed that Sunnyshore City’s Vista Lighthouse, as seen in the anime is based on the “Tower of the Sun”, was the icon for the EXPO ’70 in Osaka? 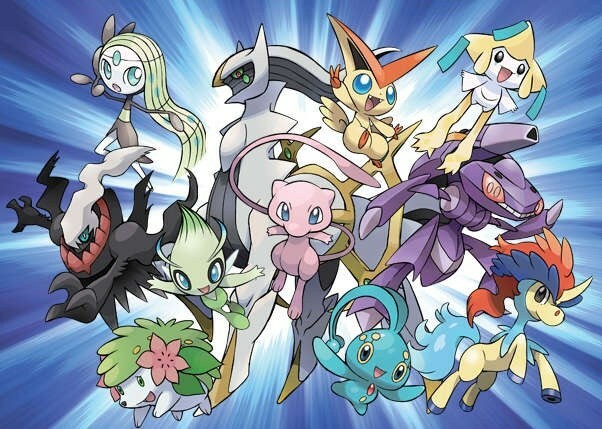 The connection between Pokémon and mythological stories and legends is like opening a can of worms, such is the volume of the world-building stories those Pokemon tell. The four Tapus of Pokémon Sun and Moon, Tapu Koko, Bulu, Fini, and Lele aren’t just random, they’re based on Hawaiian gods. Arceus, the oft-considered God of all Pokémon, isn’t just some horse-looking thing, its origins correspond with creator deities such as Shintoism’s Kunitokotachi, whose summoning of further gods matches up with Arceus’ relationship to other Sinnoh region legendaries. With the rise of wikis like Bulbapedia dishing out this useful information, who says Pokémon is not a good teaching too? The game developers at Game Freak were inspired by cultural specifity for their Pokémon, and we in turn were inspired by the Pokémon themselves. Not to be forgotten, Pokémon are heavily inspired not just by mythology, but by plain old real-world zoology and everything in-between. 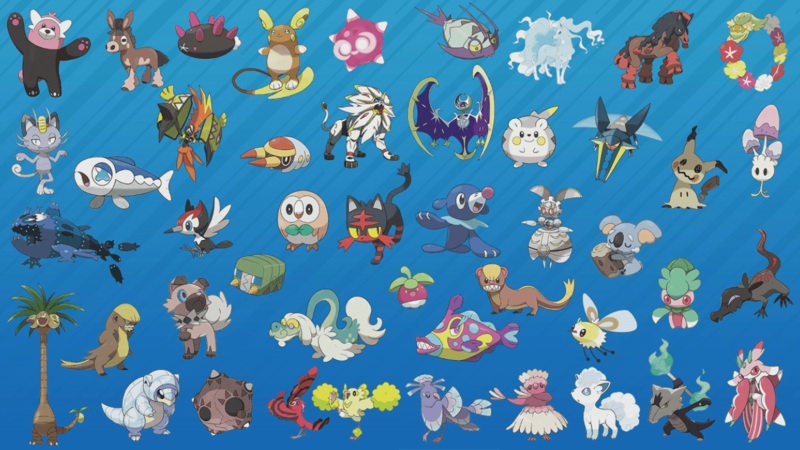 Some are obvious, as with Psyduck as a platypus, and Beedril being a wasp. To be animalistic, the inspirations for others go deeper than you think. Horsea is a universal representation of a seahorse, while Skrelp is specifically based on the weedy seadragon seahorse. Swablu with its cotton wings draws from the grey jay, with its habit of sitting on people’s heads. And there’s Pidgey, who is not a pigeon, but based on a sparrow. Chansey are not based on a specific animal, but Chansey derives from marsupials and the concept of motherhood. Each of the Fire-type starter Pokémon draw from obvious animals (salamander, pig, chicken), but do you know right away how they are derived from the Chinese Zodiac. Other Pokémon like the Whismur aren’t drawn from animals like you’d think, but are inspired by sound speakers. That’s nothing to say of all the humanoid Pokémon that draw from inspirations like mime, opera singers, goths, and construction workers. There’s more to these Pocket Monsters than meets the eye. With too many examples of subtle inspirations to describe, it’s a victory for zoology if kids learn about obscure animals through Pokémon. Before Pokémon‘s Trading Card Game hit the west in 1999, card games were a relative niche unknown. 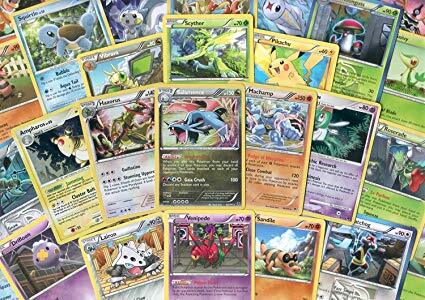 Magic The Gathering was already out there and had its own following, but when the Pokémon Trading Card Game hit shelves, more and more people started to learn the language of these special games. More than just a collectible, the TGC had rules and mechanics that emphasized how to build a deck and how playing cards interact with each other. Otherwise, you could settle and trade them to complete collections of your own (catch ’em all, if you will). And let’s not forget the resell market. A generation of kids knew what “Base Set Charizard” was worth in the aftermarket (into the $100s for a mint condition, 1st Edition variant) and sought it as such. Those same early sets from the late 90s, in mint state, can now sell in boxes for thousands, such was their generational hold. Without the wild success of the Pokémon TCG, it’s highly improbable that fellow competitive card games like Yu-Gi-Oh! and countless other imitators would have made it to the West. One of the most resilient lessons of Pokémon (the anime) is growing out of failure (spoilers ahoy). Series protagonist Ash Ketchum would know all about this, with countless retries made at Pokémon Gyms to earn those hard-earned badges. 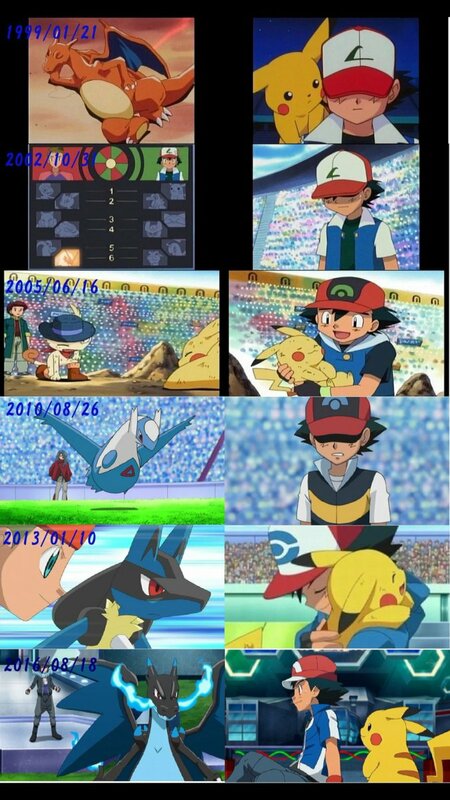 At every regional Pokémon League, Ash fights hard and loses hard after much hard work. Nowhere is this better shown that in his first major loss at the Indigo Plateau. Going up against his doppelganger rival Ritchie, Ash ends up having to send out his Charizard to battle Ritchie’s Pikachu, Sparky. 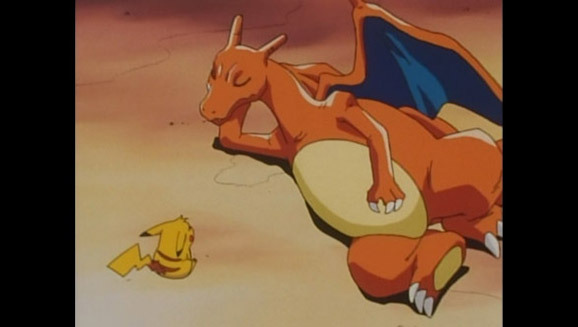 While things are looking on the up at first, Charizard ends up sulking around, forfeiting Ash’s match victory to Ritchie. The impact of the loss devastates Ash so that he stays in bed in a deep depression the next day. After meeting up with his rival later on, he comes to terms with his defeat and learns that there’s always another chance to be a winner. That’s a solid life lesson about good sportsmanship, one both kids and adults could take in their own life. Whether it’s a sporting event, a school test, or even some kind of accident, the lesson is to not take defeats in stride and learn from them, not let them defeat you. To let a video game/media franchise entice you to learn another language is an earnest effort. 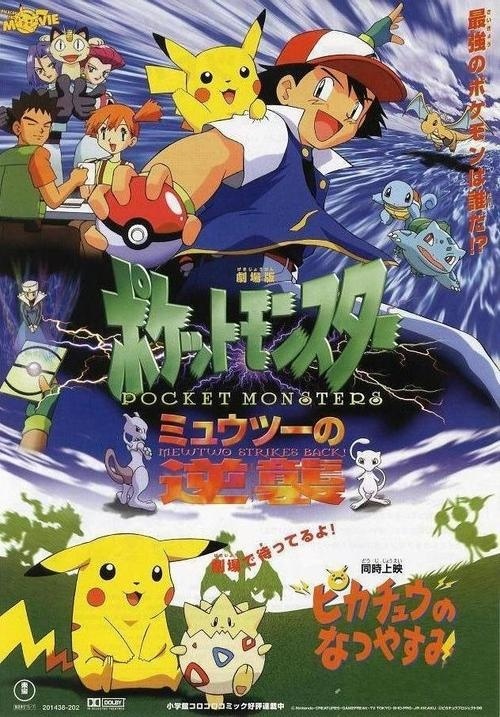 With Pokémon being a Japanese-originating franchise, that level of crossover was inevitable. Not only from the Pokémon’s names themselves largely being different, a major point of this argument stems from the Pokémon anime. The differences in dubbing production in the English language release and the Japanese original naturally enticed me and other inquisitive minds to seek out the source. In watching the Japanese version, you see numerous differences in the voices and music, and with those, you train yourself by ear to know what they’re saying in translation. This leads to an inclination to obtain the Japanese materials, like DVDs and music CDs if you become an obsessive. Certain singers in those CDs can further lead to a stepping stone to other Japanese music, and even Korean music (it happened). Compared to 1998, I now have a much stronger grasp of Japanese language, in text but mostly in spoken word. It’s not always school and the obligatory language class that teaches you to speak another tongue. Sometimes, it can be your favorite video game, anime, or music that develops an invaluable skill. With all the quality fan sites online these days, with their own handling on Japanese releases and events, that’s true of other fans, too. For an entire generation, everyone and their mom would likely tell you scores of stories about how the Nintendo Entertainment System got them into video games. The NES was their nostalgia point, as it were. For the generation that was growing up when Pokémon came to town, that was likely their touchstone point. While I had already had a Game Boy and some games for it by 1998, Pokémon certainly was that moment for me. 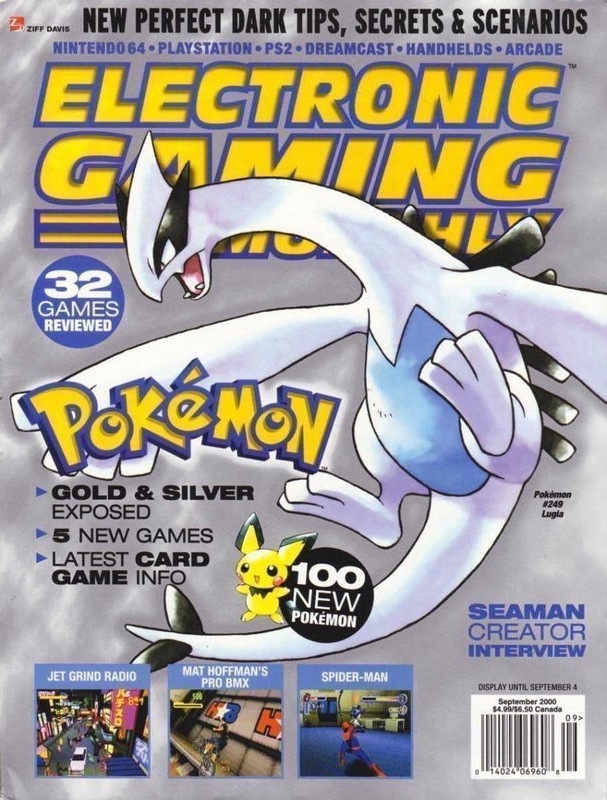 Personally, Pokémon was interesting and beguiling in its first year in the States, but it was the surprise (to us in the West) news of the greater, more expansive sequels Pokémon Gold and Silver that really made me a Poké-fan. 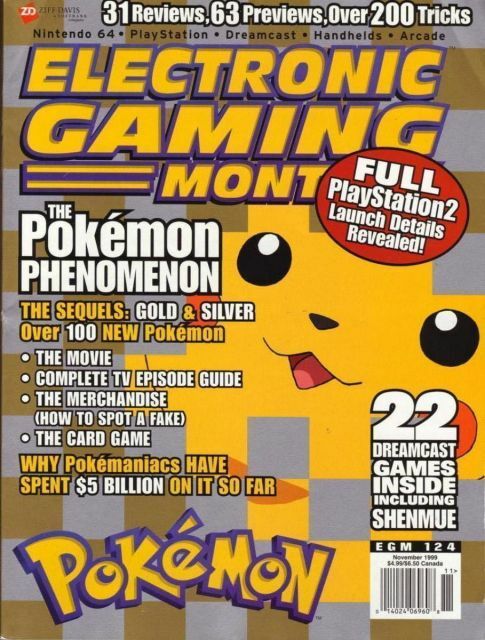 That news came from the pages of Electronic Gaming Monthly (1999). From Gold and Silver, I became a subscriber to Nintendo Power the next year (2001). From Nintendo Power, I got my first home console, the Nintendo 64. By providence, 2001 being the year Game Boy Advance and the Nintendo GameCube both launched, from there my gaming palette snowballed into more hardware, more diversity of games, more games magazines, more elucidation on the history of the medium, and to me writing about video games today. Ask a number of gamers today what made them the gamer they are today, odds are it’s the Pokémon pair that started it all, or some variable answer thereof from a later installment. When Pokémon Blue first came into my life, my gaming experience was limited. Twenty years later, I’ve played on just about every platform and divest in a vast portfolio of genres, series, and experiences. It was the fandom that grabbed me at the ripest of ages and never let go. The media properties we grow up with may be entertainment first and foremost, but their impact on our lives and the immediate culture has the potential to be enormous. With seven generations of games, anime, and more Pokémon than can be comprehended, we must not forget the lessons it taught us as a collective. Behind such simple stark 8-bit graphics and stark simple mechanics of Pokémon Red and Blue lay a whole world that empowered imagination and creativity. The global success of Pokémon GO in 2016 really reinforces the point that despite its early critics, Pokémon can never really die. I may not have been able to teach you, but you sure as heckfire taught me.